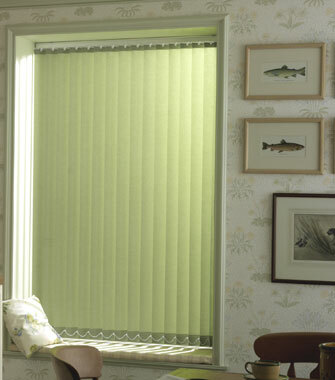 Vertical blinds are blinds are probably the most versatile of all window coverings enabling you tilt and turn the louvers to control the light and your privacy, the blinds can be parted in the centre or can stack to one side, ideal for sliding doors and french doors. 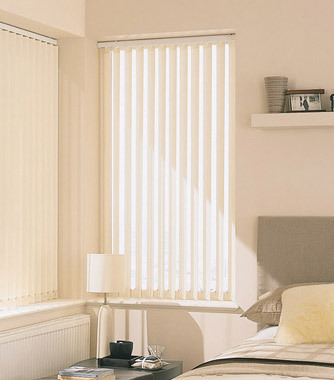 Our vertical blinds are manufactured in house using the Louvolite vogue system headrail a stylish rail that will give you many years of trouble free operation. 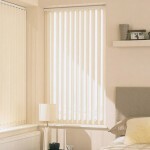 Vertical fabric widths come in 2 sizes 89mm or 127mm depending on the width of your window and depth of your window recess. We use a wide range of fabrics including fire retardant, machine washable and blackout fabrics and even MRSA Resistant fabrics. 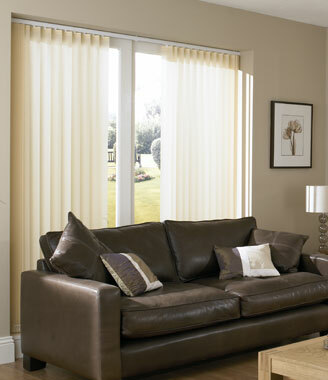 Here at Blindfolded we are members of the BBSA (British Blinds And Shutters Association) we conduct our business using the BBSA code of practice to make sure you get the highest standard of quality, service and aftercare. 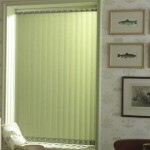 As BBSA members we promote child safety as standard our vertical blinds give you the option of cord and chain tidies which fasten to the walls to keep looped cords and chains away from children and the most vulnerable.